The folks over at Disney just don't quit, do they? As if opening Toy Story Land wasn't cool enough, they've got some upcoming Parks additions that are sure to have you feeling the Magic! In today's blog, we'll give you a sneak peek into some of these new attractions so we can be excited together! 1. Star Wars: Galaxy's Edge - You've been to Infinity and Beyond, but have you been to the Galaxy's Edge? Not yet, but soon you will! Disney is already in the process of construction the Galaxy's Edge lands at both Disneyland and Magic Kingdom, and they promise to be a phenomenal experience! Based on the limited information that's available, we can see that the plans are to open the land in 2019. In addition, there are plans for a few different attractions, namely, the Star Destroyer experience and the Millenium Falcon ride! Both promise to be very exciting, while Disney claims the Star Destroyer attraction is set to be the largest-scaled attraction in the history of the Parks! Also, side note, who doesn't want to fly the Falcon?! Last, but not least, when you've finished with the other attractions you can make your way to the Cantina Bar for a refreshment! Star Wars: Galaxy's Edge promises to be quite the immersive experience; are you ready to save the Galaxy? Check out Disney's "Fly-Through" video below to see more! 2. Star Wars Resort - We mentioned a fully-immersive experience at Galaxy's Edge, right? Got it. Well, Disney plans to take that experience to a whole new level with their Star Wars Resort! According to the good folks at Disney, guests at the Star Wars Resort will immediately begin their journey through the Galaxy as soon as they step into the premises. You'll be invited to change into "proper" Star Wars attire as soon as you arrive, and then proceed to begin your week-long journey into space with the rest of the guests at the resort. Each window of the resort will feature a different view out into space, with all kinds of adventures awaiting your gaze! Also, due to the location of the Resort, it will officially be the most immersive experience of all of the resorts at all the Parks around the world! the Star Wars Resort will be fully connected to Star Wars: Galaxy's Edge, so you'll be able to take a stroll off the ship, right into the Star Wars universe! 3. From one Galaxy to the Other! - Set to replace the Universe of Energy attraction at Epcot, the newest attraction featuring our Guardians of the Galaxy friends at Future World is set to be one of the longest enclosed rollercoasters! There isn't too much information out there available, so make sure to keep on the lookout for news about this great upcoming addition! 4. 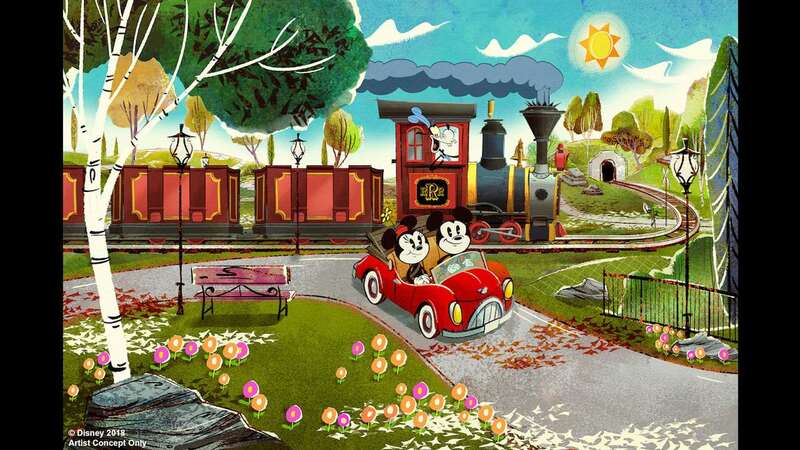 Mickey and Minnie's Runaway Railway - Another very exciting upcoming attraction at Walt Disney World is the Mickey and Minnie Runaway Railway, which is likely to be the most incredible Mickey and Minnie ride ever! Did we mention that it's the first Mickey-themed ride-through attraction at Disney's Hollywood Studios? That's right! Not only is it the first of its kind, it's also going to have some really awesome technological features as well! Disney claims that this new technology will mimic the "3D" experiences we're getting used to seeing, but, here's the catch: no 3D glasses. You read that correctly! They're calling this new tech "2 1/2D", and it's set to match the 3D experience you get in the movies without the extras! 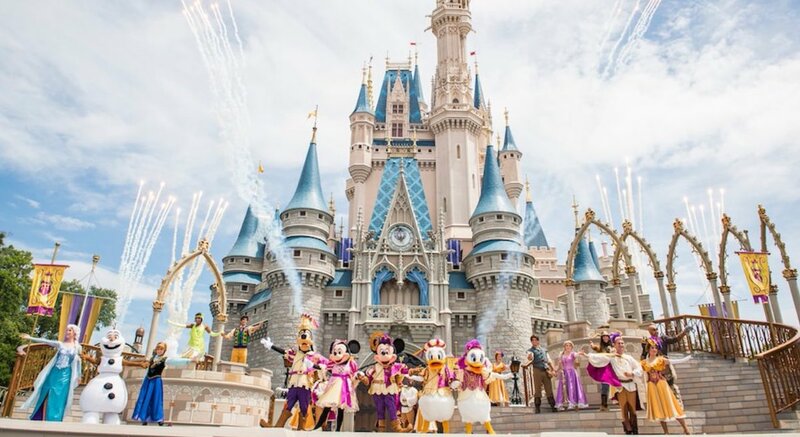 These are just a few of the upcoming attractions at Disney World, but there are more to come. Did we miss one that you're excited for? Let us know in the comments! Want Disney goodies delivered to your door? Check out our subscription boxes!